Hannukah or Chanukah is a Jewish holiday rejoiced for eight days on the 25th of Kislev on the Hebrew calendar - late November or December. The lightening of the golden candelabrum of the menorah is the symbol of the celebration. “Hanukkah” means “dedication” in Hebrew, the term honors the re-dedication of the Holy Temple in Jerusalem after the Jewish triumph against the Syrian-Greeks in 165 B.C. 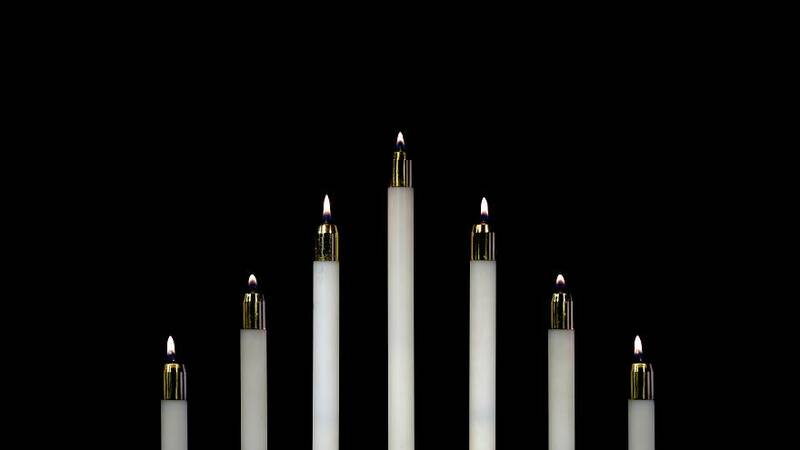 The circumstances that motivated the celebration of Hannukah took place during wild times in Jewish history. In 168 B.C Syrian-Greek soldiers held the Holy Jewish Temple in Jerusalem by orders of Antiochus IV Epiphanes and was turned into a sanctuary to the worship of the Greek god Zeus. The emperor Antiochus also declared the practice of Judaism an offense punished by death and ordered all Jews to praise Greek gods. Once they regained control, the rebels -also known as the Maccabees- called on their people to come back and purify the Holy Temple in Jerusalem. The Jewish were determined to purge the Temple by burning sacred oil in the Temple’s menorah –the gold candelabrum with the eight branches- for eight days. However, they only found oil to fuel the menorah for one day but decided to attempt the purification anyway. According to the Talmud, a fundamental text of Rabbinic Judaism, a miracle took place: the small amount of oil burned for eight days. Hanukkah involves the lighting of the menorah for eight days, the reading of special blessings and the cuisine of fried food, as a representation of the oil’s miracle. The tradition is held in most Jewish homes and synagogues around Christmas time.